Ready to race Formula Mazda. This car is in excellent condition, has no accidents, and has had constant maintenance and support from Havoc Motor racing. 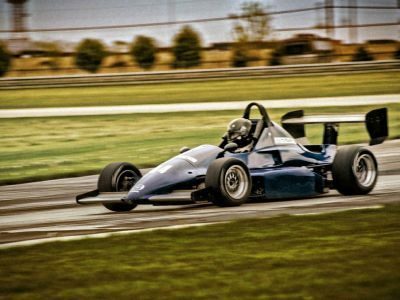 The car most recently ran in 2012 and 2013 in the Autobahn racing club formula racing series. The car is naturally blue and has a &quot;1999 McLaren F1&quot; vinyl livery wrap on it. The car is a very rare &quot;tall man&quot; chassis which allows for a higher roll bar, increasing safety for all drivers.